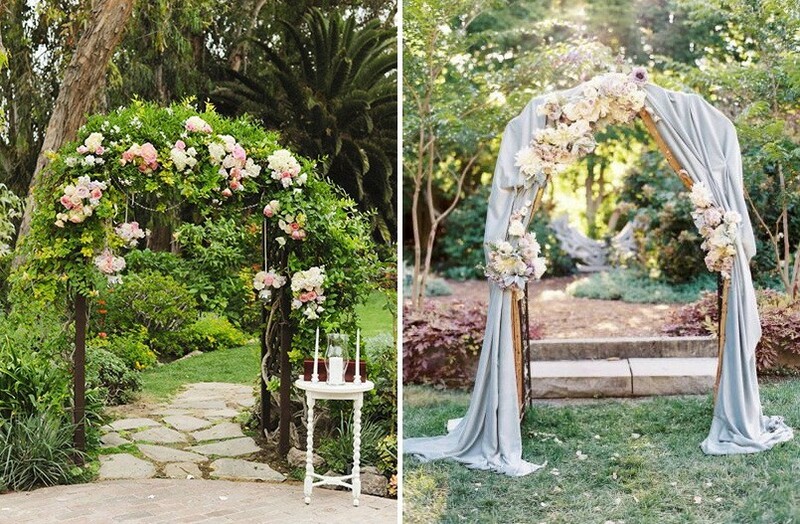 Summer wedding is a nice reason to go beyond traditional indoor celebrations. 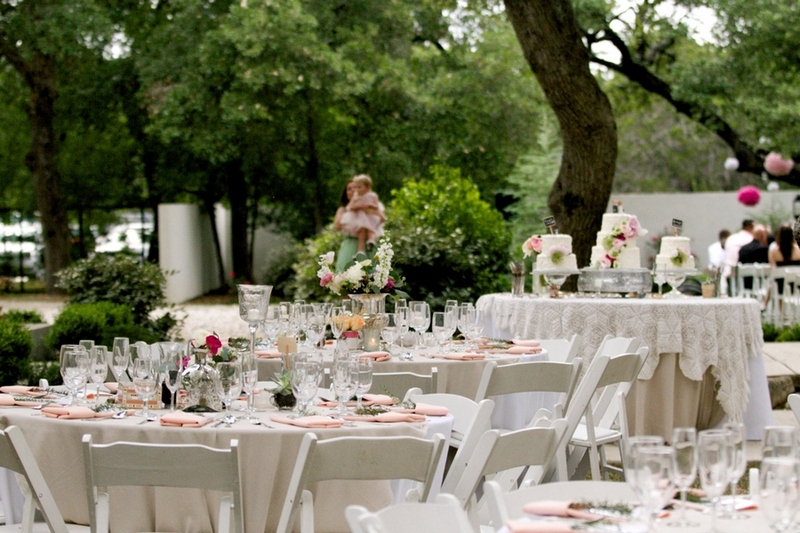 For instance, it would be a good idea to abandon a stuffy restaurant hall in favor of a romantically decorated garden. 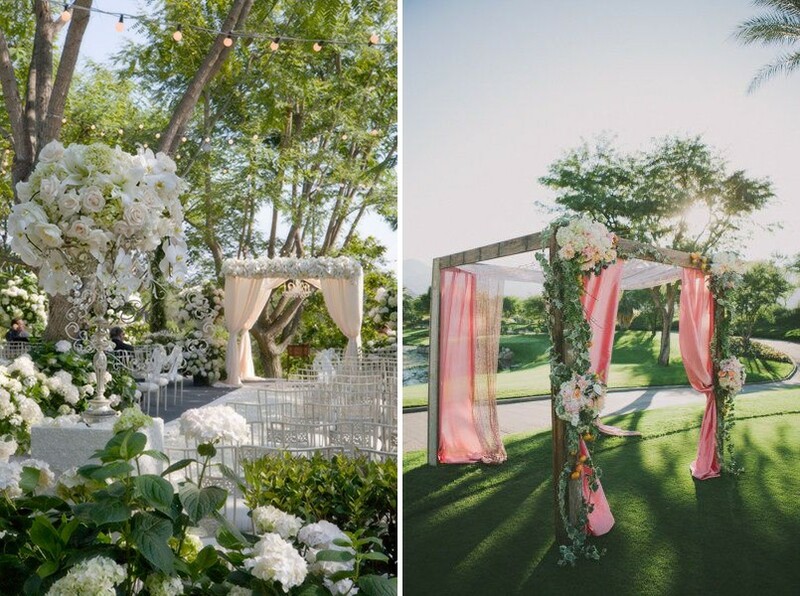 Plenty of greenery, blooming flowers and beautiful lights create stunning and inspiring atmosphere for one of the most important days in the life. 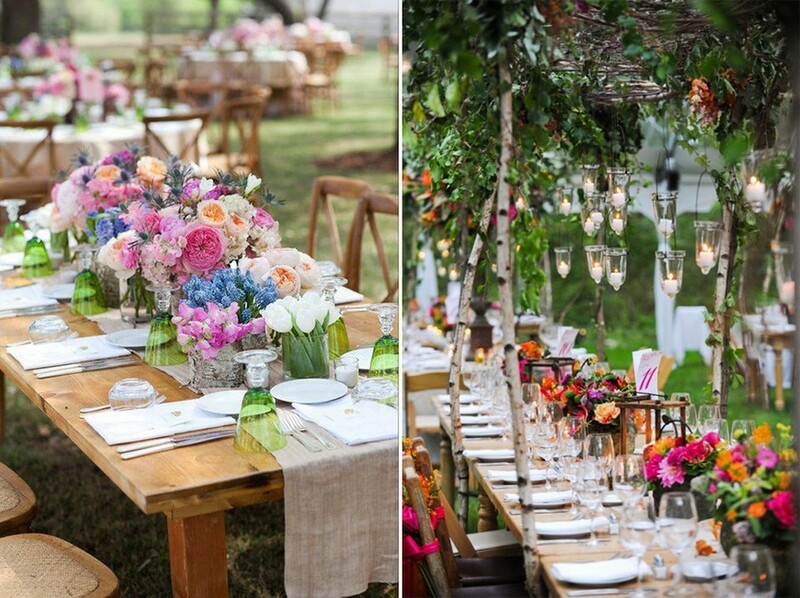 Nature per se can adorn any celebration, but some thematic décor would be good too. 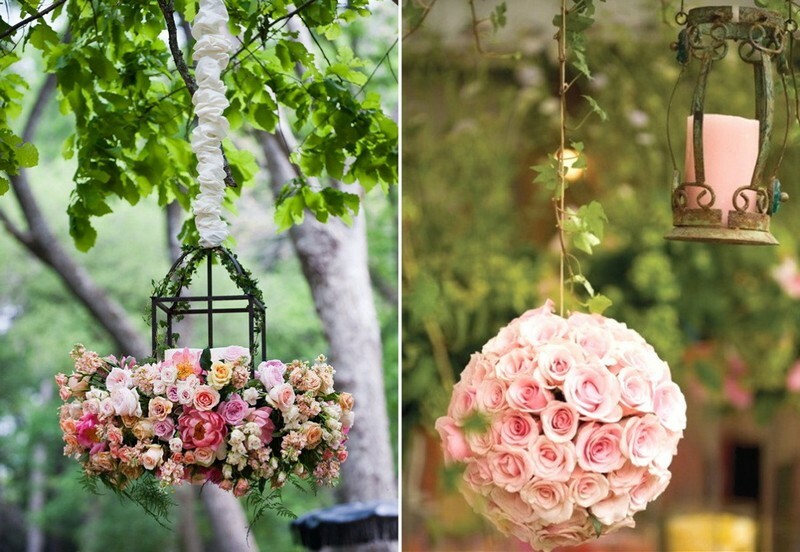 And we have a few ideas on making the right setting in the garden. 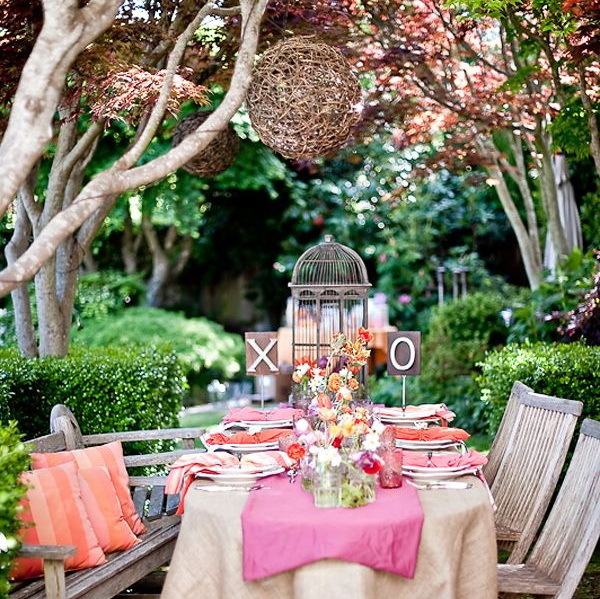 The best choice for the garden is wooden furniture. 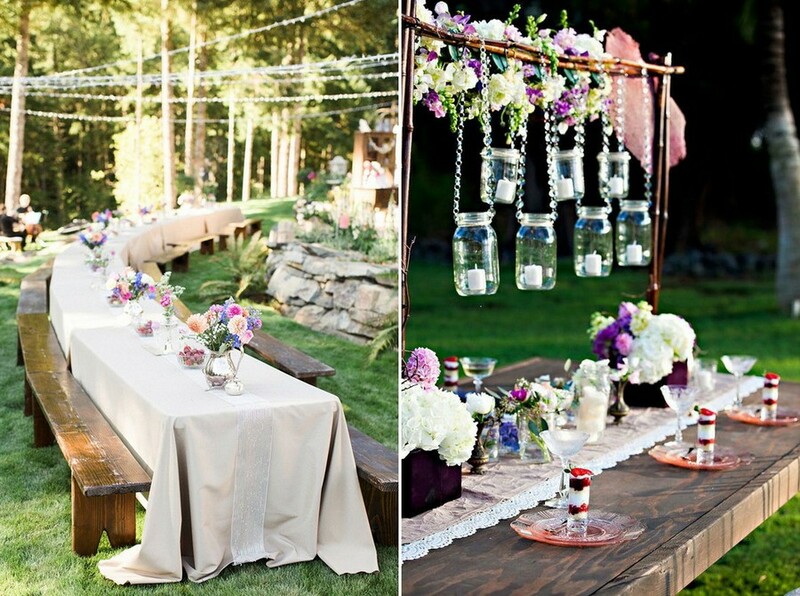 Even rough wooden tables, chairs and benches would look charming and stylish when coupled with holiday décor. Just don’t forget to put pillows and cushions for the sake of your guests’ convenience. 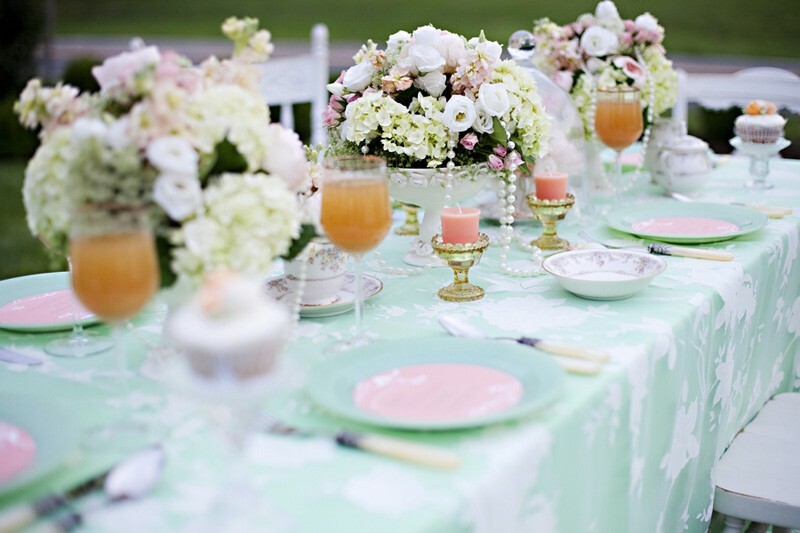 One of the most logical and natural solutions for a festive table setting is versatile flower compositions. 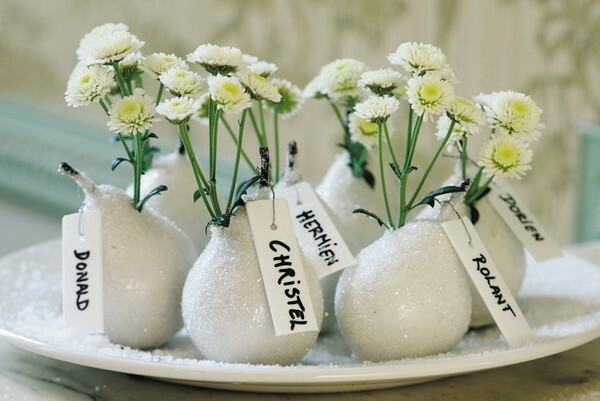 And we don’t necessarily mean cut flowers – you may put compact potted plants on the tables and they would look absolutely gorgeous. And if you stick numbers to the pots, you’ll be able to do without conventional cardboard table numbers. 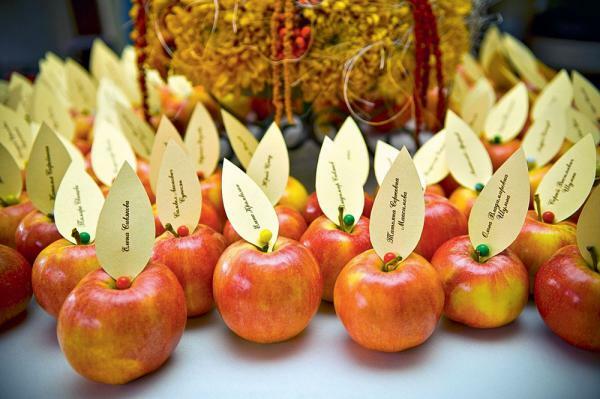 Similarly guest name cards can be arranged on stylized fruits. This solution would look unhackneyed, sweet and very summer-style. 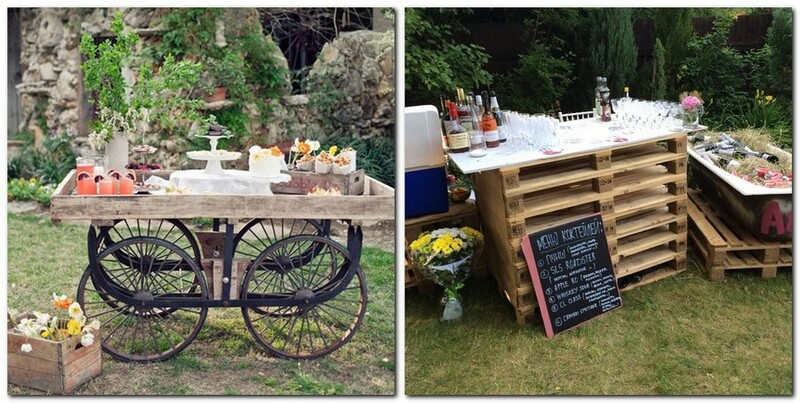 The role of an ornamental centerpiece that would catch the eyes of your guests can be given to an authentic bar made from old pallets or to a makeshift buffet table created from a vintage cart. 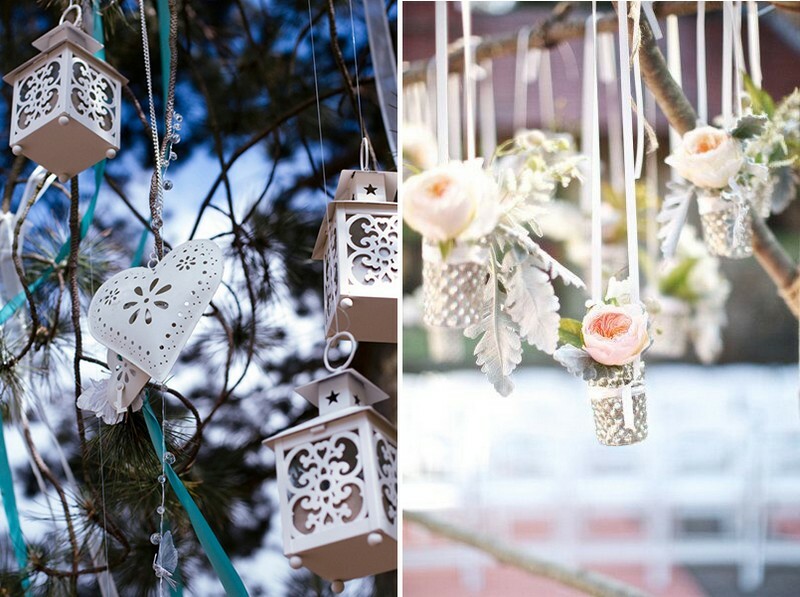 Such details would be appropriate even on a most exquisite wedding. 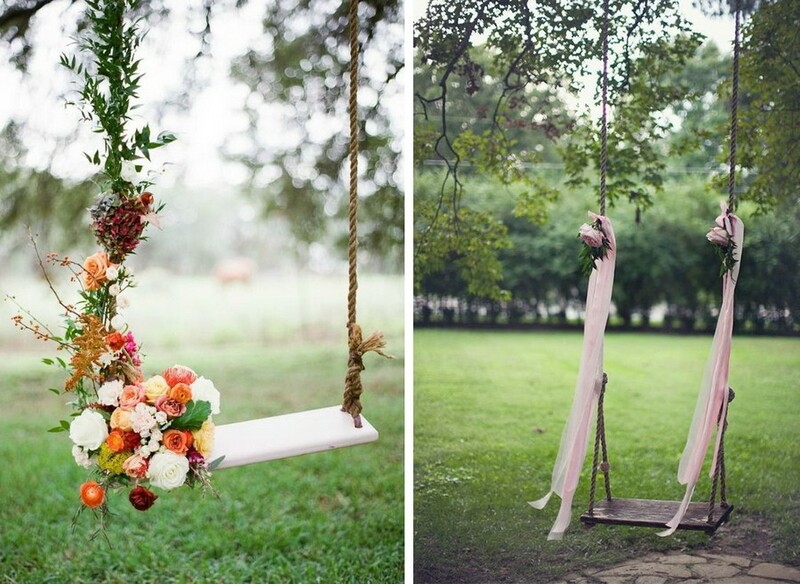 Also, don’t forget about the swing: dressed up with flowers and ribbons, it will be a great decorative piece for stunning wedding photos and a good place for entertainment. 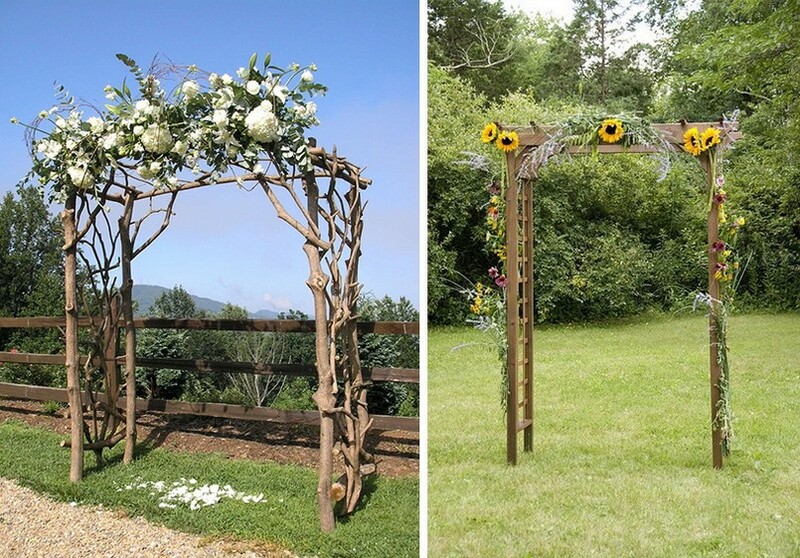 …or be more creative and arrange an arch from wooden ladders, tree branches or common timbers.